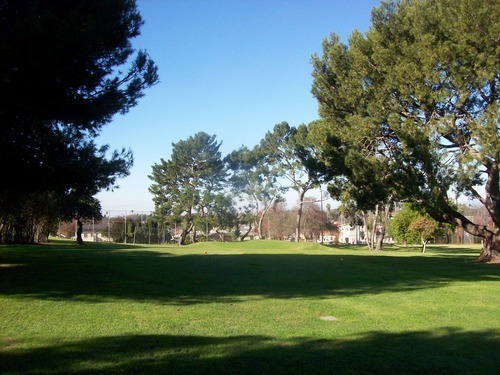 With a 5-day New Year’s holiday weekend and no significant travel plans after spending Christmas in Northern California, I decided to blast through a bunch of remaining Los Angeles short courses. Since most rounds were walking, I decided to not go full dawn to dusk every day and enjoyed a little more relaxed “Short Course Blitz” style than normal. I originally had another plan for my New Year’s Eve round, but had to cancel due to bad weather that passed through LA/OC overnight and was heading east where I planned to play. It was really windy and rainy all night, so I wasn’t sure if I was even going to play at all on Wednesday. I enjoyed sleeping in a bit, but once the wind calmed down a little I was antsy and ready to play. I made my way up to Westchester, hoping that the holiday would mean slightly less crowds than normal on this course that is known for being very busy. I looked online and saw a lot of open tee times, so I just made my way up there and was able to walk right on around 9:00. I paid my $30.50 (to walk), which seemed rather steep, and then they sent me right out to the first tee to join another twosome. Another single came up to join us a few minutes later. It was still relatively busy out there, but things moved along fine and I felt pretty good about finishing here at a 3:45 pace. 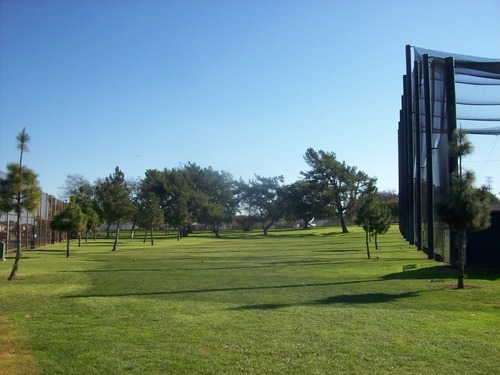 Even as a short executive course, this place apparently is no stranger to 4.5 or even 5-hour rounds. 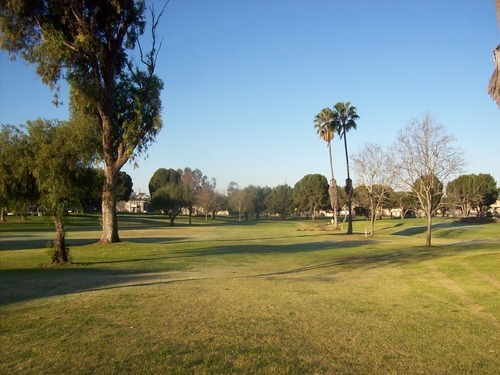 Westchester is an 18-hole executive layout that plays to a par of 64. 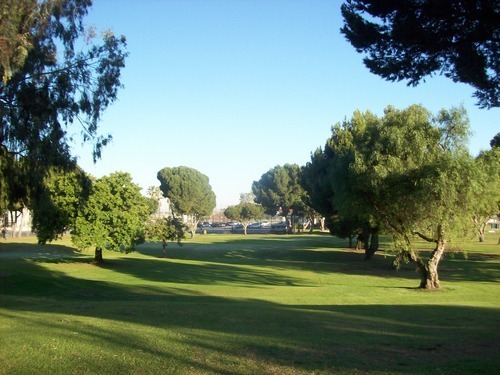 It features seven par-4s, one par-5 and 10 par-3s. A few of the par-4s are quite short, but mostly it’s a decent mix of hole lengths. 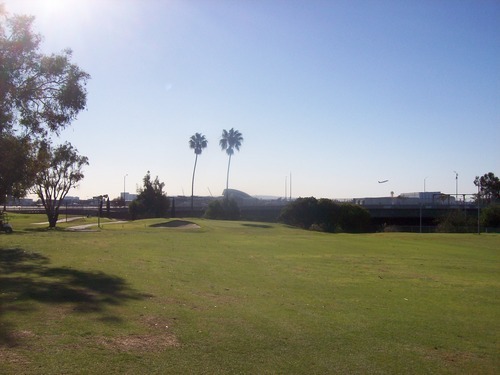 The course is located right next to LAX airport, which is kind of cool and also kind of annoying with so much air traffic overhead. The layout is pretty straightforward. There are a few tricky doglegs, but for the most part it’s pretty wide open and forgiving. 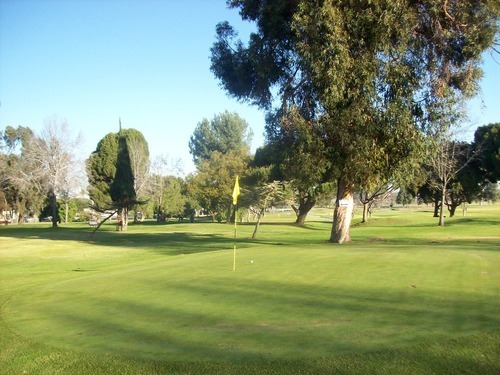 The greens are easy to get at and a good score is there for the taking. 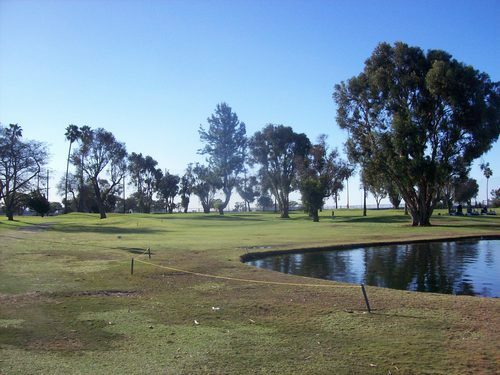 I think there’s only one water hazard and a few OB areas on the outlying holes, so there’s not too much trouble to get into. It’s not the most exciting layout around, but it’s enjoyable enough as a simple course. The course was in pretty decent shape. The greens were very nice. Other than too many unrepaired marks, the surfaces were soft and rolling smooth at medium speeds. A lot of the back tee boxes were closed off, so the blues were playing up on several holes to make things even easier. 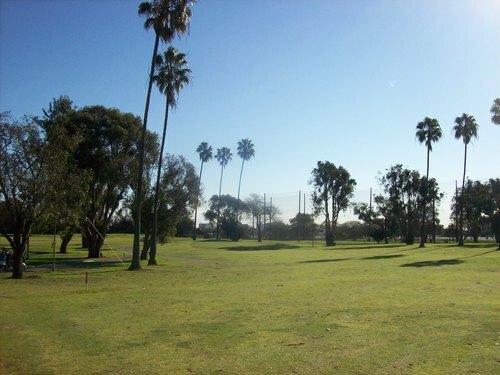 Otherwise, the teeing areas we played from weren’t too beat up. The fairways were decent enough. The rough was not much of a factor as it’s cut pretty low. I wasn’t in a bunker, so no comments there. Given the location and forgiving design, it’s easy to understand why Westchester is so popular. I’m glad it worked out for me to play it without major crowds. I got over to the course a little after 1:00 and had no problem walking right on. 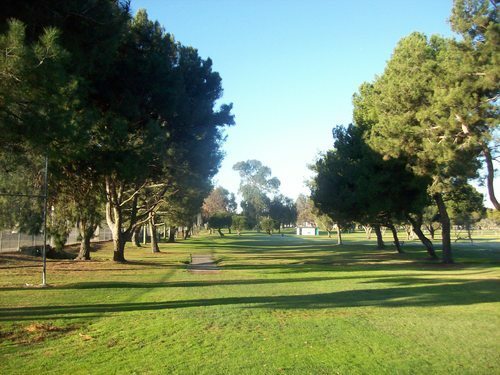 The price was $18, which also seemed steep for just a 9-hole course. They sent me out to join a single on the first tee. We were playing behind some other groups, so we had to wait on every tee, but the pace was still decent enough. This is also an executive layout, but it’s more of a glorified par-3 course. 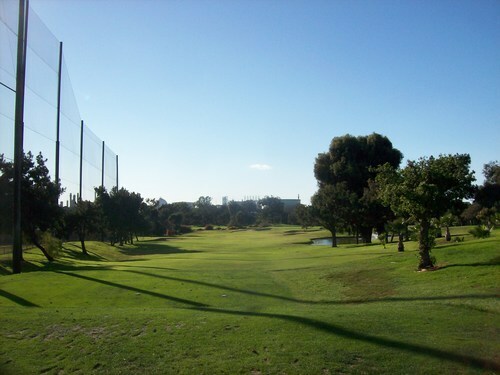 There are only two very short par-4 holes (269 and 261 respectively) and then the par-3s range from 78 yards up to 178. So, you will get to use a few clubs in the bag beyond just your wedges. 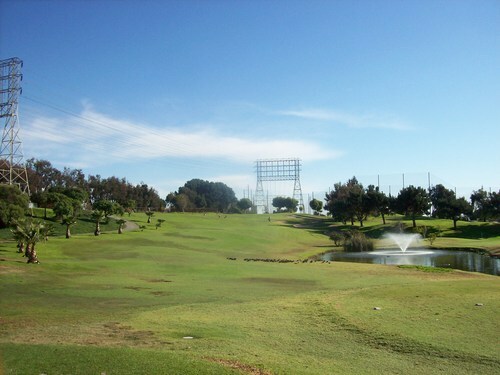 The Lakes at El Segundo features a decent layout with some slight hills and undulation in the terrain to keep things interesting. 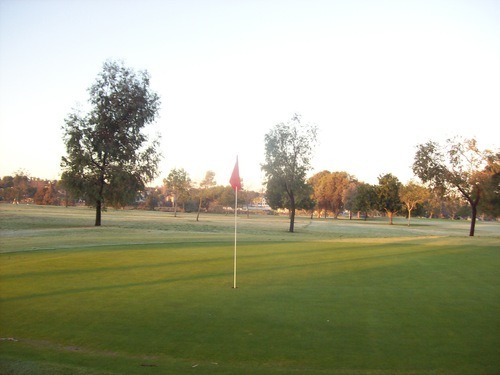 The greens are relatively large and offer some interesting shapes and slopes to contend with. Getting on the greens is easy here, but a two-putt isn’t always a guarantee. 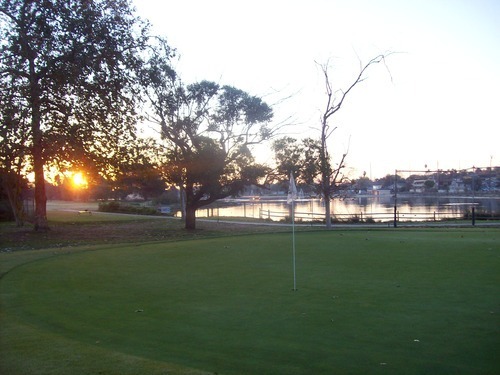 As the name would suggest, there are a few water hazards in play and there is some nice bunkering on a few holes. Overall, it’s a pretty well-presented short course. It’s still plenty easy for beginners to enjoy, but offers just enough challenge to keep serious golfers from getting too bored. 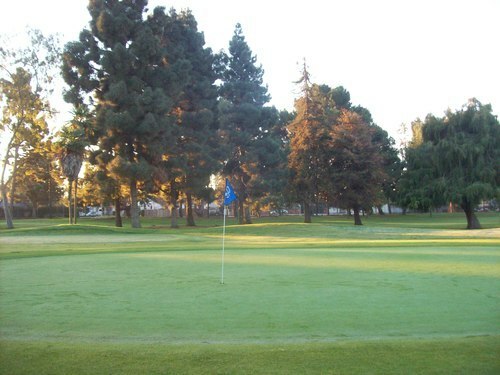 The course was in pretty good overall condition, highlighted by the greens. They were very nice and rolling at medium/quick speeds. There were plenty of unrepaired marks, but not nearly as much as I expected at a short course like this. The tee boxes were good. The fairways on the two par-4s were fine. The rough was a mixed bag, but mostly decent. I wasn’t in a bunker here either, so I can’t speak to the quality of sand. Again, the location makes this a pretty popular place and I saw a number of families out there having a good time, so that’s what a short course like this is all about. It’s fitting that my first rounds of 2015 and my last rounds of 2014 were on short courses because they’ve been my priority as of late. It won’t be much longer until I’ve completed this list, though. 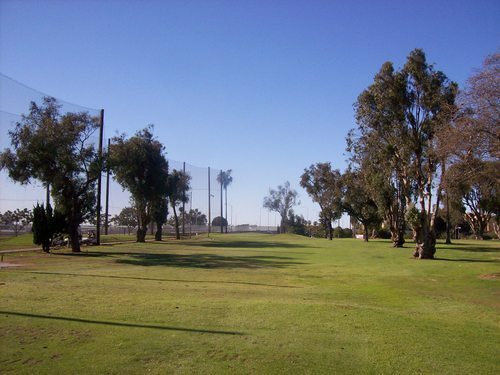 I’ve played the main course at Recreation Park (a.k.a. 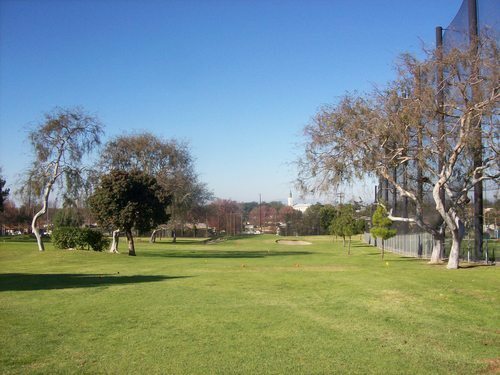 “Big Rec”) a bunch of times in the past, but somehow I’ve never ventured across the street to play the South 9 course (a.k.a. “Little Rec”). I finally did that on Thursday morning. 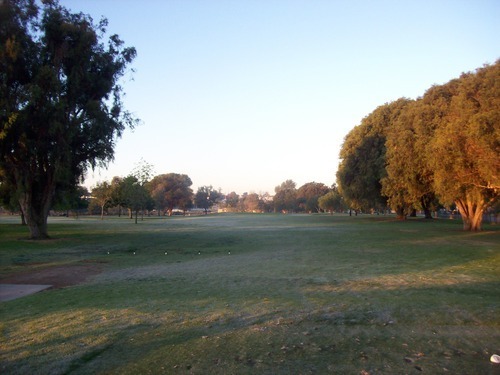 I wanted to start here early to beat the crowds, but I guess I didn’t factor in how much the cold weather, the holiday hangovers and the big college football bowl games would affect the popularity of golf on New Year’s Day. 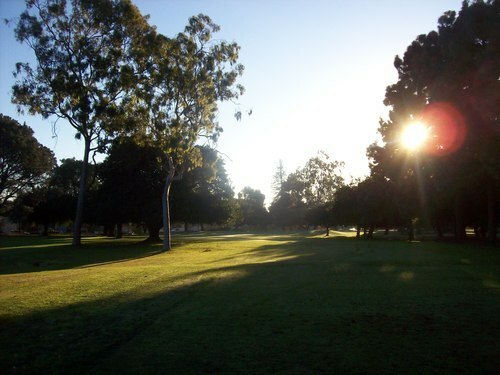 I had booked a 6:45 tee time through scga.org. It was $17.50 and included a cart, so I thought that was finally a reasonable deal. It was really just myself and another single out there that early, so it was kind of nice. He went off pretty early on his own and then only played five holes. 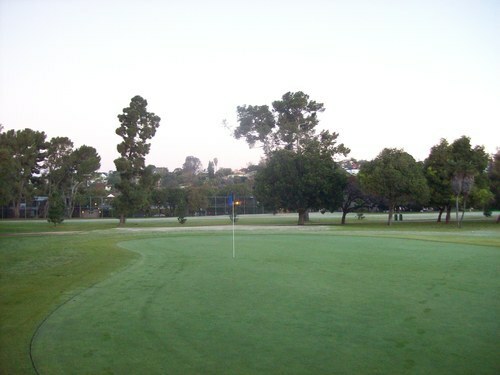 I could have gone off earlier, but with no crowds to push me, I decided to wait until there was at least a little more daylight and then teed off right at 6:45. 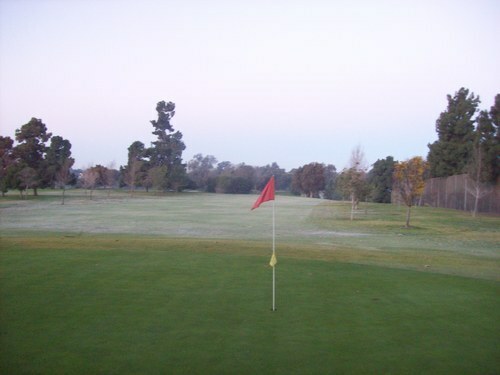 At many courses right now, frost delays are a concern. 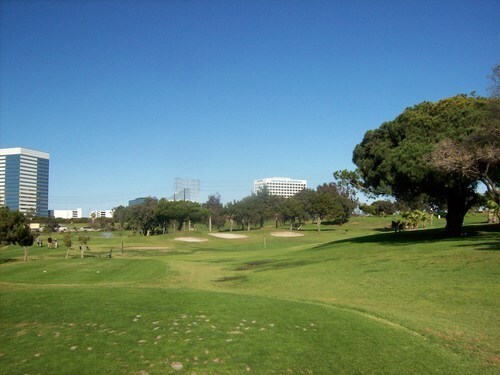 At Recreation Park (and apparently all LA muni/county courses), they are not. 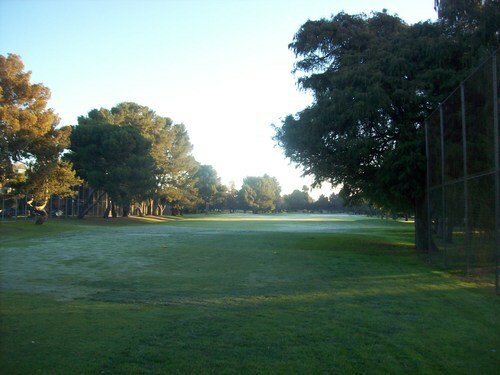 It was very cold and there was a solid layer of frost on the ground my whole round, but that did not slow me down and I zipped right through this 9-hole course. The South 9 is an executive layout. 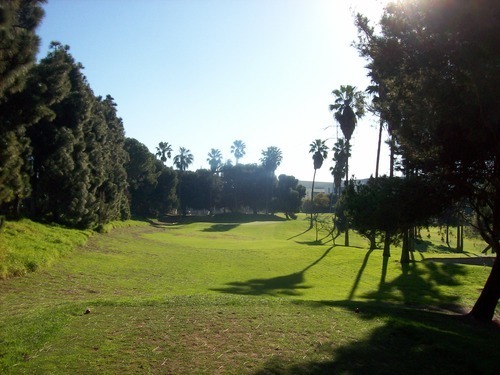 It plays to a par of 31 and features four relatively short par-4 holes. 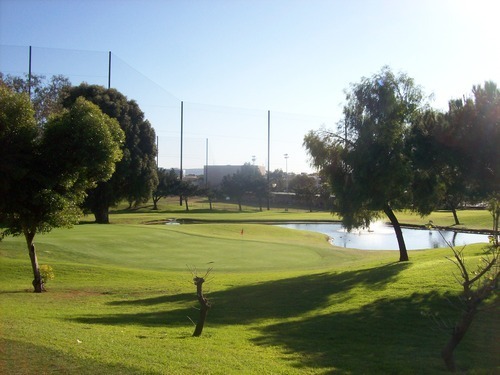 The first five play up and down a couple of small hills and then the rest of the holes are across the road next to a small lagoon and are much flatter. Overall, the layout is pretty straightforward. 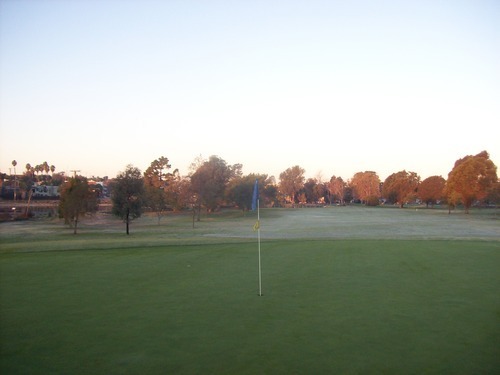 The course was in pretty good overall shape, though it was hard to tell completely with so much frost on the ground. The greens were very nice. A few of the tee boxes were a little chewed up. 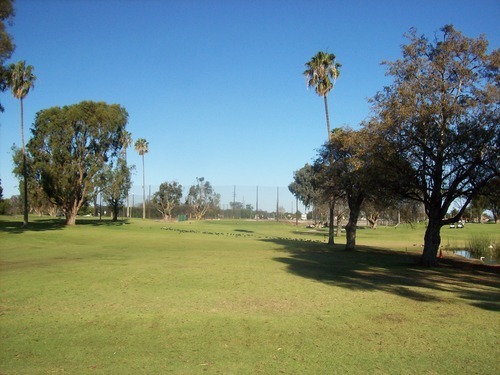 The fairways were mostly good and the rough was more inconsistent, though not penal at all. I wasn’t in a bunker here either, so again I’ll refrain from any comments about the sand. This is a fine executive course and a decent complement to Big Rec, though obviously I would strongly prefer to play there. However, if you don’t have time for a full 18, this isn’t a bad alternative to consider. Even on the holiday, I was worried about the crowds here, as well. The first time I ever visited Alondra to play the main course, I was turned away because it was so crowded. Then, the next time I was able to get on, though it was still very busy and slow. When I played that day, I saw plenty of folks out on the Par 3 Short Course. I knew I wouldn’t have too much trouble getting on Thursday, but wasn’t sure how the pace would be. Well, none of that turned out to be an issue. I was shocked to see so few people at Alondra. When I arrived around 8:15, there were people heading out on the main course, but by 9:00 there were unusually large gaps on the first tee. As for the short course, it was completely wide open. The guy inside told me only two other guys had gone out ahead of me, so it was all mine. The price was $17.25 for 18 holes. I headed right out and got around the course quickly on my own. I did run into those two guys on the back nine, but luckily the routing here is tight and I was able to creatively jump around a couple holes to avoid running into them. As I mentioned, this is actually a full 18-hole course and it’s all par-3s. 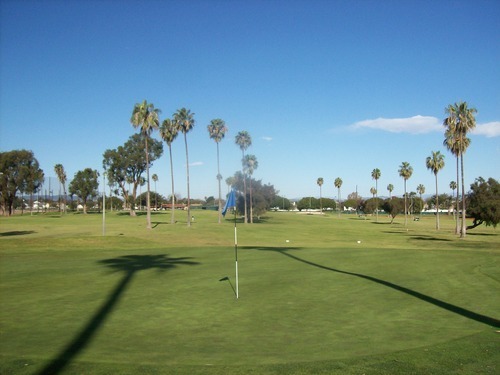 The shortest is 97 yards and the longest is 180, so you will get to use a few different clubs during the round. 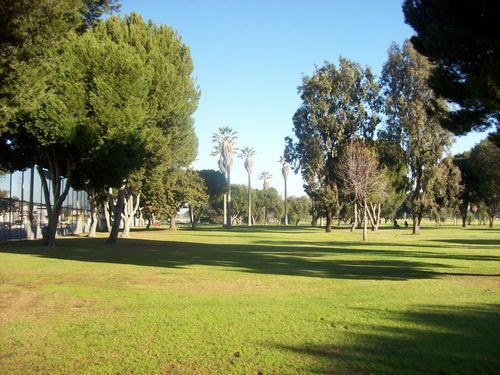 Other than that, there isn’t anything too noteworthy about the Alondra short course. What you see is what you get. The greens are relatively small and harder to hit/hold than you think they’ll be and there are some narrow angles on a few holes due to plenty of trees in play. The whole course is pretty tightly compacted into the corner of the property. Some parts of the routing care a little confusing, too, but I eventually figured things out. The course was in pretty solid overall shape. Some of the tee mats were still a bit frozen in the shade, but no biggie. The greens were in very good shape. I did notice a couple ugly spots on a few of them, but for the most part they were great. Everywhere else was hit or miss, but it was more good than bad (especially for winter). 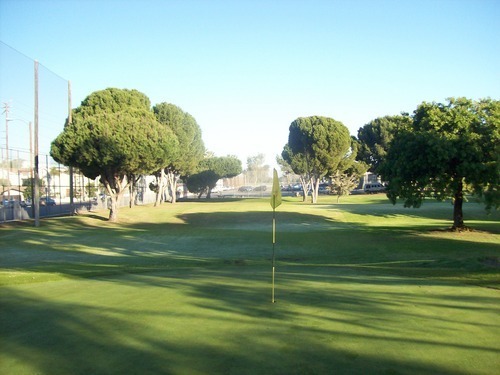 I’d imagine there are people who play the main course at Alondra all the time and have never set foot on the short course. 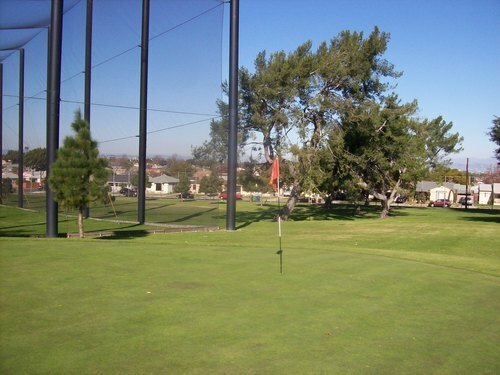 But as a beginner-level course or a short game tune-up, it provides all you need. 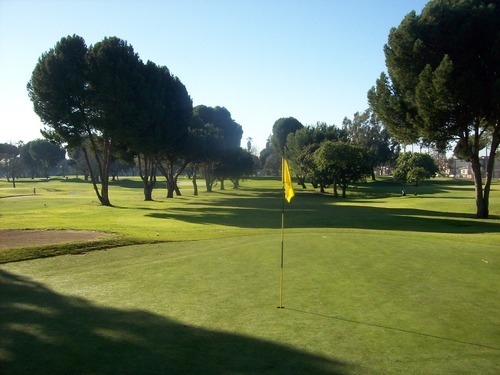 Originally, I had booked a 1:30 tee time through TeeOff.com, which was only about $10 after a promo code basically covered the booking fee. However, the day before I got a call from TeeOff to inform me that the course was actually closing early on Thursday and they needed to move me up to 11:30. That was fine with me as I had plenty of flexibility. However, I finished my first two rounds so quickly, I had some decisions to make. Knowing they wanted people done earlier, I called over to the Marriott and asked about teeing it up even sooner. The guy said to come out as early as I wanted, so I headed right over. I got out there around 10:00 and it was pretty dead. There were a few folks out on the course, but I headed right to the first tee. I caught another twosome about halfway through and played behind them the rest of the way, but it was still a very quick pace. 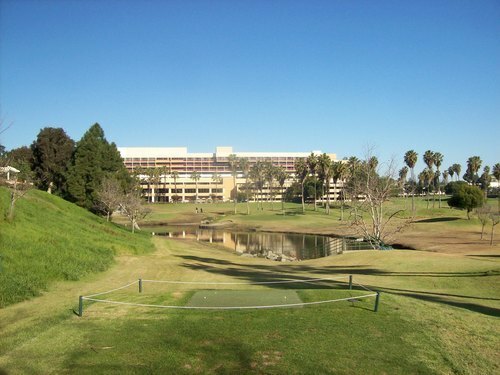 I would compare the Marriott Manhattan Beach course to The Lakes at El Segundo as a more intriguing short course design. 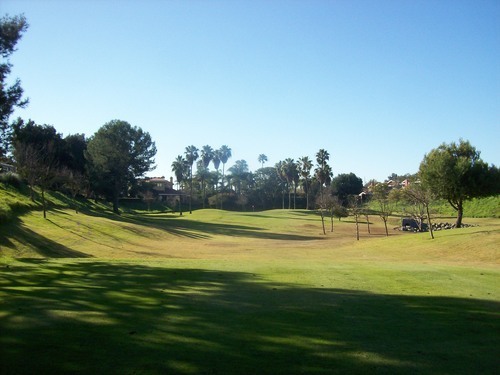 This one is all par-3s, but plays up and down a few hills behind the hotel. A couple water hazards come into play on the 1st and 8th holes. I have been to this hotel in the past and caught glimpses of the course, so I knew what to expect and figured it would be fairly enjoyable. 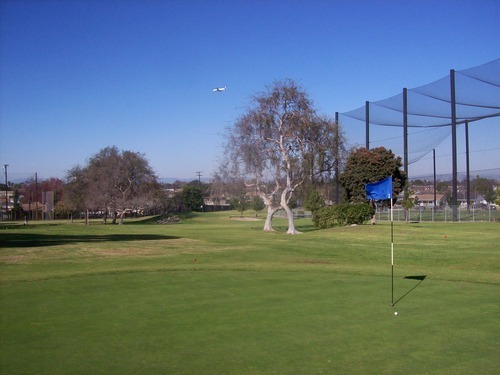 The holes range from 82 yards up to 182, so again you can utilize a number of clubs in your bag. 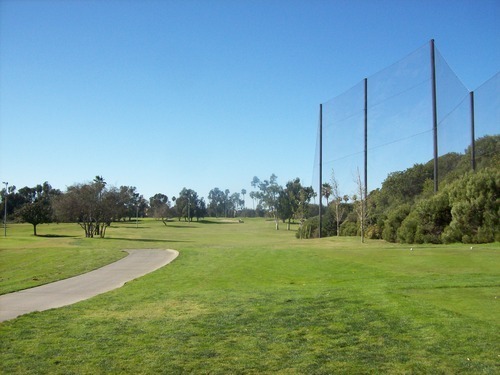 Most holes play either uphill or downhill, so you have to factor that into your distances. The greens here are medium-sized and not too tricked out, but some of the slopes can be fairly severe because of the hilly terrain. 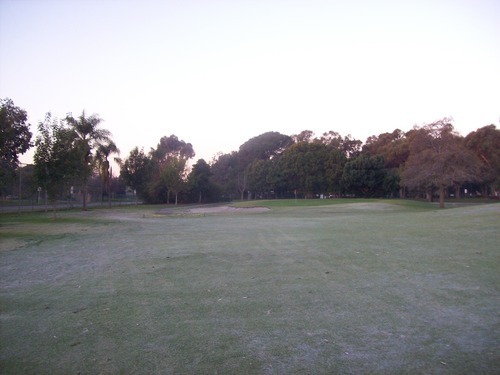 The course was in okay winter shape, but definitely the weakest of the ones I played on Thursday. 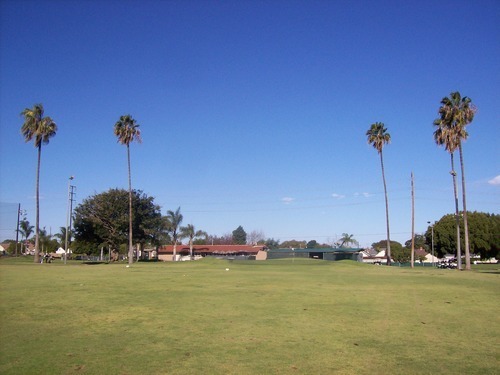 They had some tee box areas roped off, but you had the option on all holes to tee it up on grass or play from mats. The greens were a bit firm and a tad bumpy, but mostly pretty good. There were a lot of dead/dormant areas everywhere else, so it didn’t look that great in places, but the grass coverage seemed decent. I presume it looks much nicer and greener during other parts of the year. With appealing rates and a decent little layout, this is a course I would recommend, whether you are staying at the hotel or just looking for a fun way to spend an hour with friends or family. 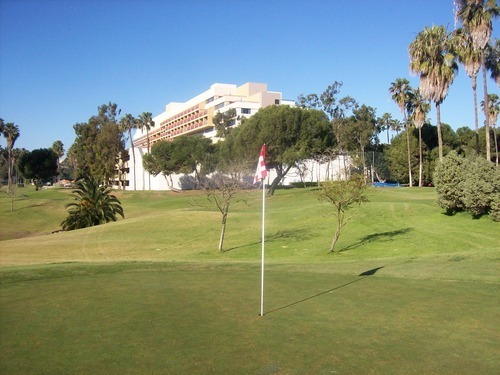 Note that there is a separate parking lot for the course down a little road to the right of the hotel, so don’t deal with the main lots when playing here. I can’t say I really enjoyed driving to this course two days in a row. It’s not in the nicest of areas (basically Inglewood/Hawthorne for those of you familiar with LA). 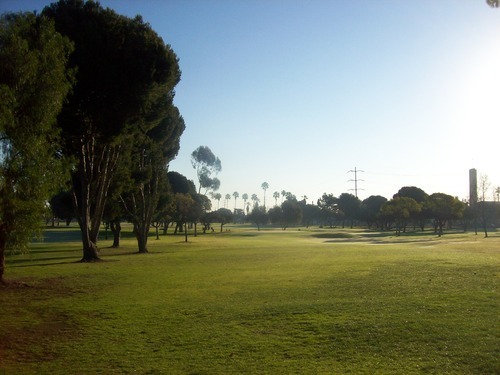 Once you are at the course, which is located next to Jesse Owens Park, it’s not so bad. 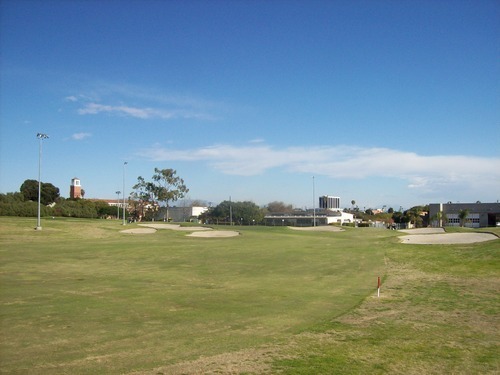 Fortunately, the course was open on Thursday and I was able to tee it up right away after paying my $7.50 admission. There were a few folks out there, but I never caught up to anyone ahead of me and I finished the nine holes very quickly. There isn’t anything too notable about this course. It is nicer than you think it will be given the location, though. 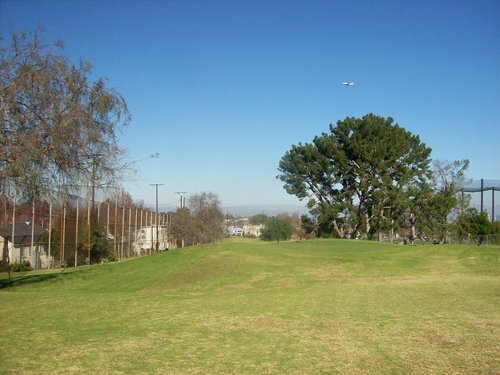 It is home to The First Tee of South Los Angeles, so I would guess it’s been cleaned up and renovated over the years. They have a short, but nice-looking range in the middle and some short game practice areas, too. 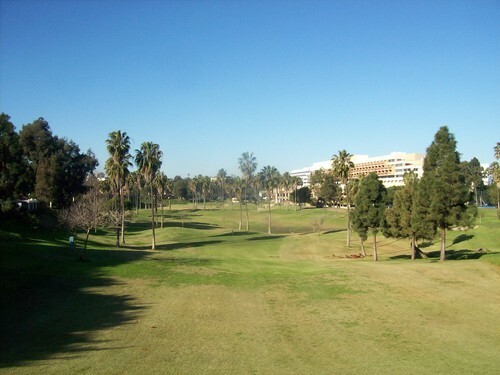 The course itself is pretty basic, but plays up and down some small hills. 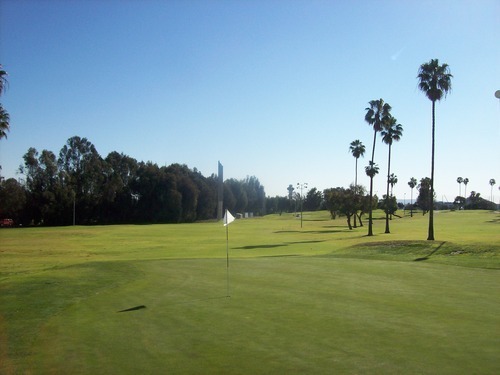 It is all par-3 holes, which range from 90 yards up to 132, so some folks may not need more than a wedge (or two) and a putter to get through this layout. I found the course to be in pretty solid condition. They make you play from mats here, but those were in good shape. The greens were pretty good and everywhere else had pretty decent grass coverage, so not much to complain about. I doubt anyone but locals and those of us compelled to play everything will have any interest in this course, but it’s there. And, if The First Tee program helps keep a few more kids off the streets in this part of town, then I’m happy to support it! Venice is known for its famous beachfront and sunny skies. 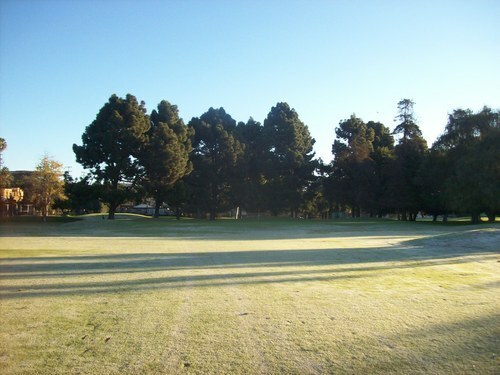 So I found it kind of funny that I played Penmar on such a chilly January morning with frost on the ground. It was my own little winter wonderland just minutes from the ocean. 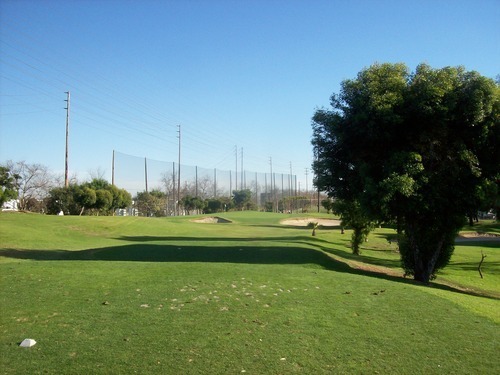 I had booked a 6:54 tee time through GolfNow. 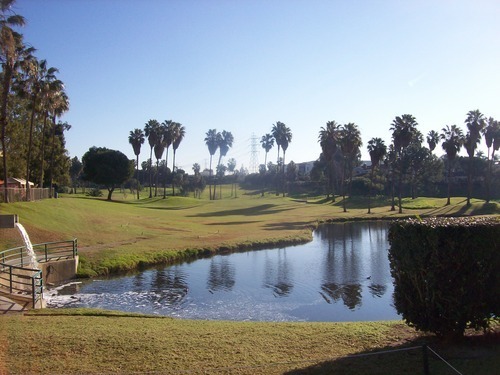 The price for nine holes was $16.75 as a non-resident. It wasn’t super busy that early in the morning, so I checked in and he paired me with the first group out around 6:45. I was with a twosome and another single, and we set a great pace as the lead group on the course. I’ve always heard good things about Penmar, but the location isn’t super convenient for me and I know it is also known to get pretty crowded. I was glad to finally check this one off the list. With a pretty positive reputation amongst locals, I was hoping for a bit more from the course itself. It’s a very straightforward design and quite forgiving from tee to green. 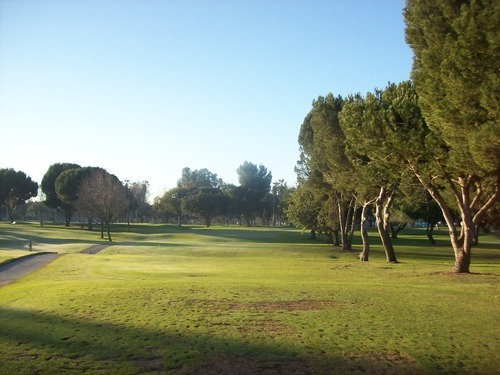 The fairways and landing areas a pretty open and the greens are relatively simple without much protection. I think I only noticed a few sand traps on the entire course. 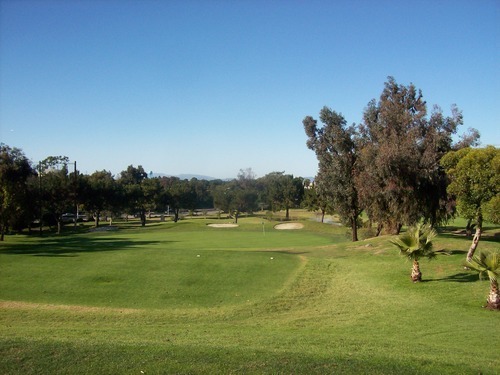 Penmar is a par-33 executive with six par-4s A couple are under 300 yards and one is surprisingly long at 425. Overall, it’s a pretty good mix of hole lengths. You won’t have to work hard to keep the ball in play, but you will at least get to use a variety of clubs. As I mentioned, there was frost on the ground our whole round, so you had to chip the ice off the spikes by the time you got to the greens. Otherwise, the course was in pretty decent shape from what I could tell. Some tee boxes were a bit ugly (more mud than grass). The fairways had some thin spots, but were mostly pretty nice. The rough was thick in some areas and patchy in others, as you might expect at a muni. 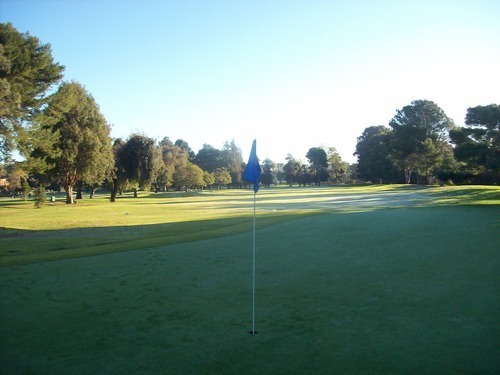 The greens were very firm early on (frozen), but softened up a little as we played. The surfaces were slow and rather bumpy, though. Again, a popular local’s course, but not that much appeal for someone that has to drive an hour (and that’s without traffic) to play here.